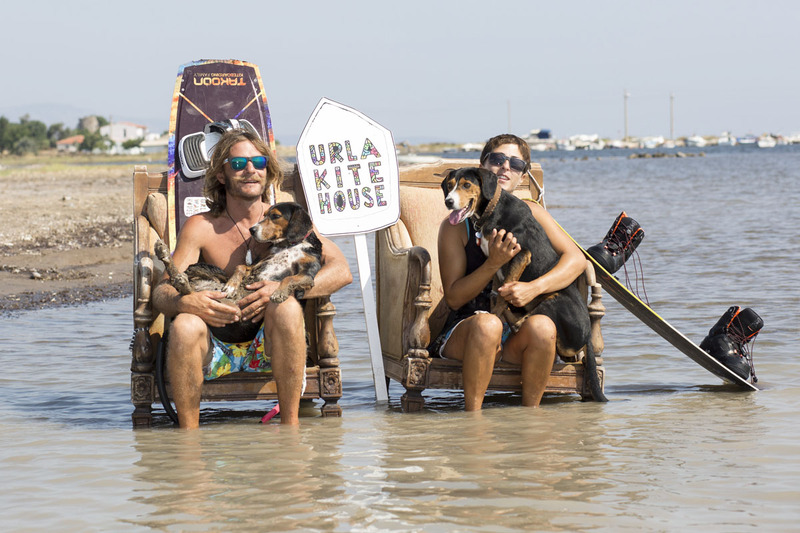 Urla Surf House is a concept based around surf culture taken from years of travelling around the world. It's a kitesurfing beach center, a beach hotel, a restaurant & bar, a skateboarding ramp, event center, and other activites all in one place. It was established in 2015 by Pinar Basoglu, 2014 Turkish Freestyle Kiteboarding Champion, and Nicolas Feraud, 2013 and 2014 Turkish Freestyle Kiteboarding Champion. For the last 15 years they have been traveling and teaching at many different kite spots around the world. After years of travelling they wanted to bring back what they discovered and loved from those travels. When they discovered Urla, they decided it was there they wanted to do it! In 2015 they then made it an official kite spot and opened the first kite center there. Pınar and Nico's goal is to give everyone the most out of their experience: with a professional team on a perfect spot and home feeling atmosphere with a friendly environment all on one place. All the events, concerts and activities they have in-house attracts every kind of people.